What the hell is this? I hate it when they don't even try with the pre-show. At least at last year's Rumble we got New Day vs. Kidd and Cesaro. 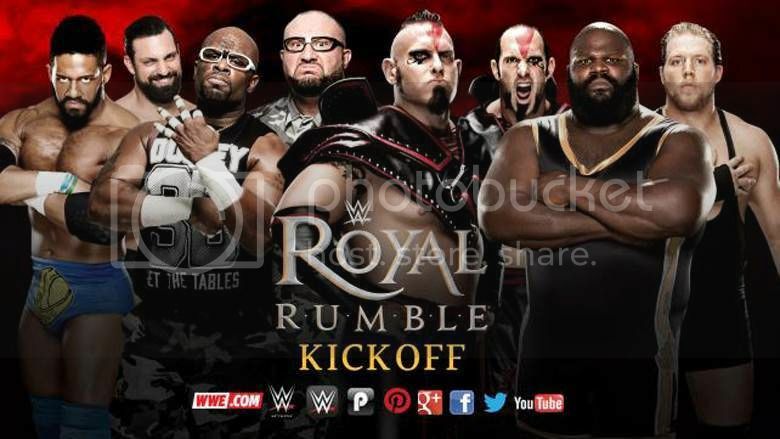 I do give them props for adding spots in the Rumble as a stipulation. I think this is quite obvious. This has been a strangely booked series. They're already wrestled three times in about two weeks, so the appeal of their matches is pretty lackluster. Still, I think they could have a really solid match. Picking a winner is kind of tough though. On the one hand, another loss for Kalisto would be rough on his young career. 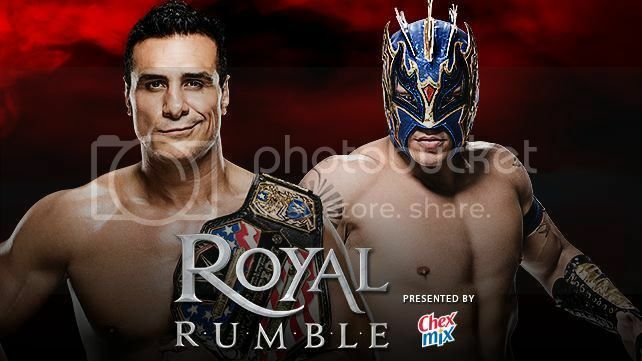 On the other hand, Alberto Del Rio can afford the loss but the WWE is paying him so much that I can't see them taking the belt off of him. I'm still waiting for Del Rio to look as motivated as he did in Lucha Underground. Anyway, I suspect Del Rio retains here, but consider it a test to see how Kalisto does in his first major singles match. It's really hard for me to pick against the New Day. I voted them as my Tag Team of the year for 2015 and they've been the best thing about the WWE throughout the second half of the year. Their opponents are the Usos though, who the WWE really seems to love. 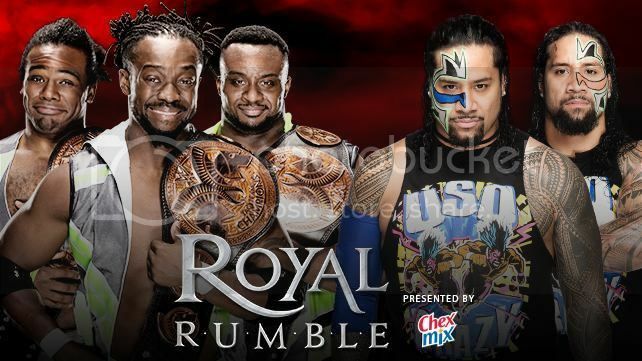 I'm sure this will be a good tag match, with potential to be the best New Day has had since Tyson Kidd and Cesaro. As it stands, the New Day are too good to have them drop the belts here. They should retain through nefarious terms. If the endgame is for the Usos to get back atop the tag team mountain, save it for WrestleMania. 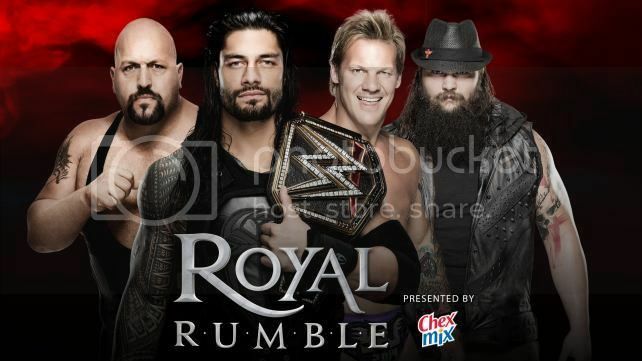 They could win the yearly pre-show multi-team match. A Divas match on the main roster that I actually care about? It's a goddamn miracle. Charlotte was really good in NXT, but has sputtered since leaving the friendly confines of the Performance Center. Her character needs work too and the baby Naitch stuff isn't very good. The reason I'm invested is simple. Becky Lynch. I can't remember the company EVER having such a naturally likable babyface Diva. Even going back to the days of Trish and Lita, there were reasons you could find to dislike both women. Becky is adorable, plucky, fun and damn good in the ring. I would be beyond ecstatic if she won and faced Sasha in a TakeOver: Unstoppable rematch at Mania. Instead, the WWE loves Charlotte, so she'll retain. Hopefully we can see Sasha/Charlotte/Becky at least at Mania. I pray that this is the show stealing match I've wanted for months. I thought their outing at Survivor Series was good, while TLC was heavily disappointing. Their television matches have all been pretty good, but I feel like this stipulation is what they've been waiting for. They always seem to be holding something back, but this should allow them to really deliver. Picking an outcome is a bit tough. I don't expect Kevin Owens to walk away as champion. However, I can see one of two scenarios happening. Either Ambrose wins straight up, or they do a no contest like HBK/HHH in 2004 to set up more matches. 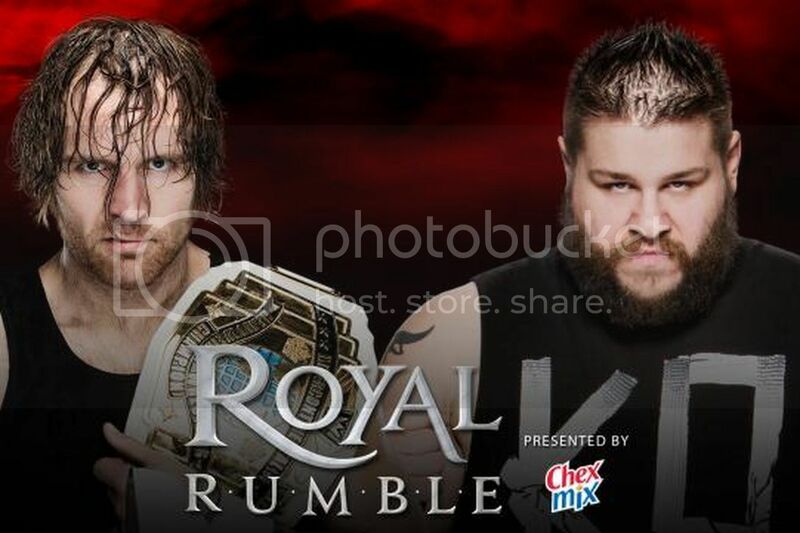 Part of me senses the latter, but I'm going with an Ambrose win. 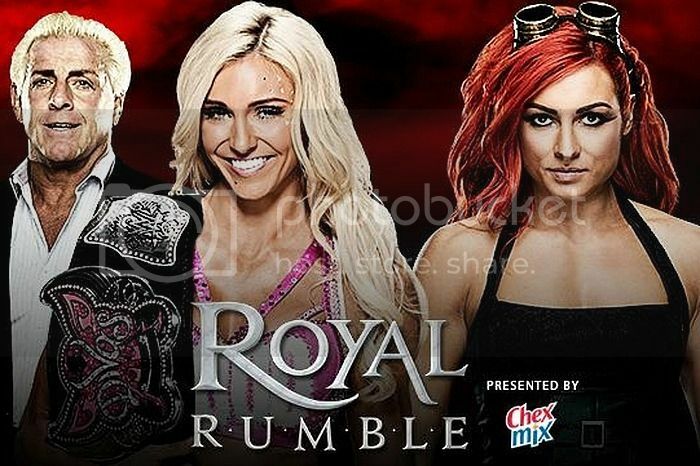 Man, I really want to like the Royal Rumble. I usually do but last year's was pretty bad and I've personally been disappointed in the winner for the past four or five years. This year, instead of focusing on multiple stories, it's been all about Roman Reigns. Even the WWE Title takes a backseat to Reigns. The WWE has spent the past few months basically telling us that Reigns, Cena and part-timers are kind of the only people on the roster that matter. So I'm going with someone from that list. Cena is out. Reigns winning from 1 to retain the title might be a bit much even for a guy booked the way that he is. Brock is an option but I think they go another route for him at Mania. That leaves another part-timer. That honestly leaves Triple H. I think he was happy with 13 title reigns but desperate times. He wins here to drop it to Reigns at Mania. Although if I was personally booking it, I'd put the belt on AJ Styles.